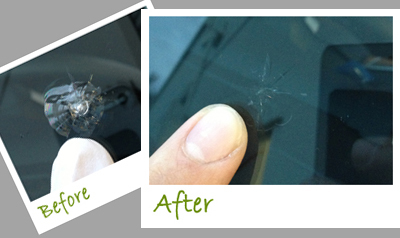 we guarantee Lifetime Warranty for our Windshield Crack Repair service. If you want to repair it not replacing it, call us. It is fast, safe, and affordable. This service will prevent further spreading damaging on your windshield. It's safe, fast, and affordable solution to your cracked windshield. Most repair process takes less than an hour to get it done. So, it's fast, safe, and cost less than a full windshield replacement.